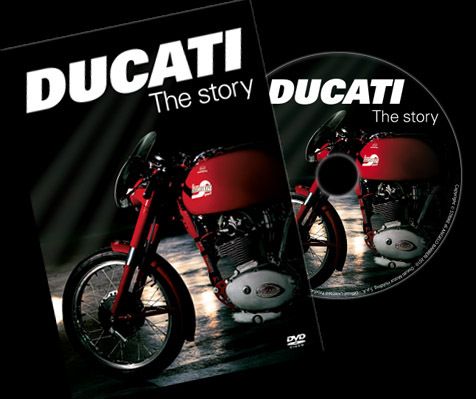 Revealed for the first time on DVD, the incredible history of Ducati told with rare movie footage, pictures and interviews from its creation in 1926 to the 2007 MotoGP World Championship title. From the innovative Ducati brothers and the birth of the "Cucciolo" to the unforgettable engineer Taglioni and the Desmodromic system. From victory in the Imola 200 to the production of the Scrambler and from Superbike dominance to debut in MotoGP, witnesses recount their personal experiences of a journey that is the story of a company, a view of Italian social history and the passion and genius that created the Ducati engines destined to write the history of motorcycling. 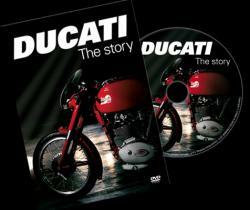 Ducati's collaboration with the production company, "Strike Video" of Milan, has enabled director, Angelo Barberi, to achieve the most complete and compelling account of Ducati's incredible heritage, and with so much exclusive material released for the very first time, the captivating ninety-minute movie in English and Italian reveals a fast-moving and exciting story. "This is a new way to tell the story," Livio Lodi, curator of the Ducati Museum, proudly explains. "As if leafing through an old photo album or speaking with a wise, old relative, the story becomes a fascinating view not only of Ducati's, but also of Italy's history. 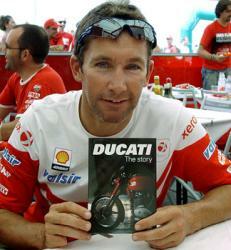 For me, it is vitally important that we share this story with Ducati fans around the world." The film and photographic material, perfectly complemented by interviews with former employees, riders and people who have experienced this adventure, is divided into 12 chapters. 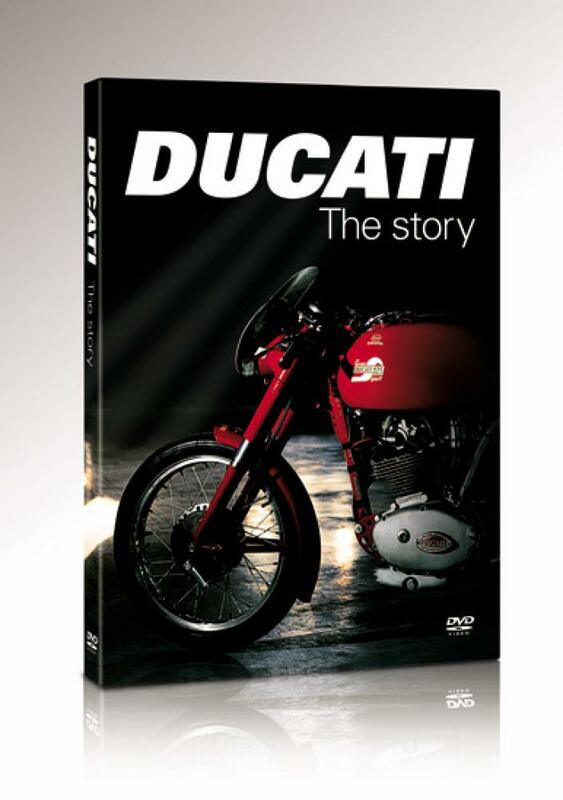 It is the result of ten years research in Ducati and Italian state archives. Available now, in both NTSC format for North America and PAL format for the rest of the world.... choose which format you need in the drop down menu. NTSC is used in United States, Canada, Japan, in most of the American continent countries and in various Asian countries. PAL is used in most of the western European countries, Australia, some countries of Africa, some countries of South America and in some Asian countries. Alternatively, each type of DVD is also playable on any PC.